Fox Tri-Bombs have been CAD designed for optimum performance. The unique three sided shape is a versatile all rounder suitable for a wide range of situations. The Tri-Bomb is aerodynamic enough to cast very long distances if required while the flattened profile provides stability. This prevents rolling on uneven or sloping lake beds and increases rig efficiency. 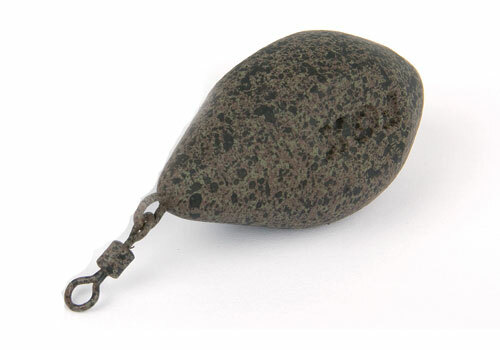 Available in quarter ounce increments to suit every possible scenario, the Tri-Bomb Swivel Lead is finished in a matt, non-reflective ‘clay brown’ with gravel speckles ensuring it will blend in discreetly with just about bottom.